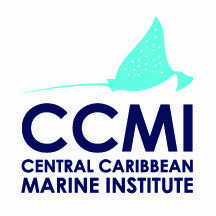 The Central Caribbean Marine Institute maintains active field research and education programmes in the Cayman Islands supported by a team of scientists, educators and operations personnel. They seek versatile, energetic, highly-motivated, mature individuals to work as interns supporting our programmes and activities. their internships are 3-6-month paid work experiences for Bachelor’s and Master’s level early career scientists and environmentally aware individuals. The successful candidates will be actively engaged with a vibrant community of visiting and resident researchers, educators, and students. All CCMI interns should be highly capable college graduates. The work requires strong individuals, willing to work 6 days/week under some strenuous conditions, whilst living in a small island community. Interns receive a small living stipend, room and board at the research station, health insurance and some reimbursement for travel. Research interns support the research program and must have a working knowledge of coral reef ecology and conservation to be considered for the position. Education interns assist with the K-12, college and citizen science programmes and must have a working understanding of livestreaming communications and virtual learning. Operations interns must be dive masters with all-around maintenance skills. The Field Station Intern assists the manager in all administrative and logistical activities related to visiting and resident groups. For more information on the positions available, see their website. Send a single file with your 2-page (max) resume, letter of interest, and names of 3 references to jobs@reefresearch.org. Include which internship (Research, Education, Operations, Field Station) you are applying for in the subject of the email.